The mystery will continue for Manifest. NBC just announced they’ve ordered three additional episodes for the new TV show. The drama revolves around the passengers of a routine airline flight that goes missing — and then reappears years later. The cast includes Melissa Roxburgh, Josh Dallas, Athena Karkanis, J.R. Ramirez, Luna Blaise, Jack Messina, and Parveen Kaur. Although NBC has not officially renewed Manifest for a second season, the additional episode order is a good sign for the new series. So far, ratings have been fairly strong. Since its debut in September, Manifest has been averaging a 1.75 in the 18-49 demo and 8.440 million viewers. NBC has ordered an additional three episodes of its Monday night hit “Manifest,” TV’s #1 new series. · “Manifest” will now have a full-season order of 16 episodes. · Full-season orders of less than 22 episodes are quite common today. In fact, the first three seasons of NBC’s hit series “This Is Us” have been 18 episodes each. And “The Good Place,” which many regard as the best comedy on broadcast or cable, have been 13 episodes over its first three seasons. · For scheduling purposes, we want to run original episodes continuously in the first quarter of 2019 without any repeats. · The ambitious storytelling means taking the time to get it right in the writers’ room and in production. · So far this fall “Manifest” has averaged a 3.9 rating in adults 18-49 and 17.2 million viewers in L+7, making it television’s #1 new series in both measures. Counting all entertainment programs on broadcast and cable, “Manifest” ranks #4 in L+7 adult 18-49 averages behind only “This Is Us,” “The Walking Dead” and “The Big Bang Theory” and #2 in total viewers behind only “Big Bang.” Adding in alternate platform viewing raises the “Manifest” L+7 18-49 rating to a 5.1. · The Sept. 24 “Manifest” series premiere grew by +8 million viewers going from “live plus same day” to L+7 (10.4 million persons to 18.4 million) for the #2 biggest L+7 lift on record for any telecast on broadcast or cable. That 18.4 million is the biggest audience for any premiering NBC drama in the last 19 years, since “Third Watch” debuted with 20.6 million viewers on Sept. 23, 1999. 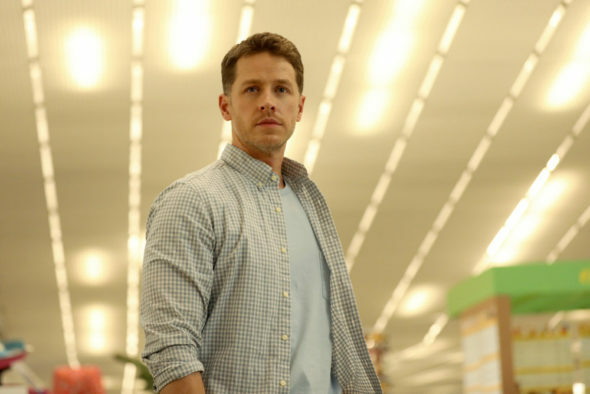 · “Manifest” stars Melissa Roxburgh, Josh Dallas, Athena Karkanis, J.R. Ramirez, Luna Blaise, Jack Messina and Parveen Kaur. What do you think? Are you watching Manifest? Do you want a second season? I Want A Second Season! Love The Show! Yes. Definitely want a 2nd season. Love the show. I have watched Manifest for the entire season, and now my husband is hooked as well. The intrigue keeps you hanging in there, and the human relationships and interactions are very interesting to follow. I’d sure like to see more shows this season, and hopefully have it continue for another season. This is the best show that has been on TV in a long time! We look forward to watching it every week. Please bring it back. Don’t leave us hanging! Yes! It is one of the most intriguing new shows this season. Each episode holds suprises. The passenger’s lives are so individually unique and yet there is a sense of family because they’ve all gone through it together. Please continue for next season. Love Manifest, one of the few network shows I follow. Please renew! Please renew Manifest. Love it! I completed that field and it was erased. Requesting renewal of Manifest series. Please continue the TV series, Manifest. I was shocked to learn there was not another episode to watch. I miss it.